Some experts say Amazon already surpassed the sales volume of brick-and-mortar shops. What lessons can the traditional retailers learn from Amazon? Read the article out loud with the Cambly tutor. 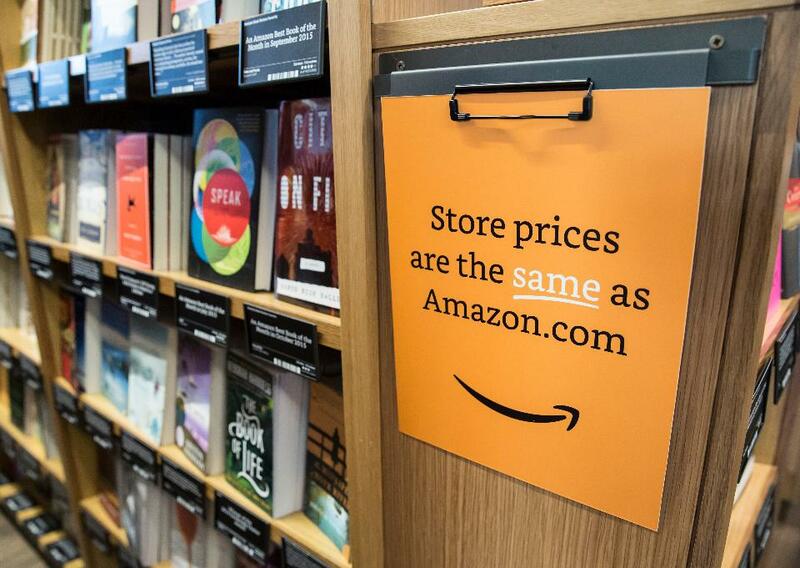 (P1) Okay, so technically, Amazon now has a brick-and-mortar location: Amazon Books. But the e-commerce giant is still dropping the retail gauntlet and dominating across a variety of digital channels, infusing innovation into new areas of retail (and beyond) every day. Never one to shy away from a challenge, Jeff Bezos has even decided to tackle the space industry with Blue Origin—yes, you read that correctly, space. (P2) So it should come as no surprise that the Amazon founder successfully took on brick-and-mortar retailers this Black Friday, a day traditionally focused on in-store sales. It’s a reality that the majority of shoppers will hit Amazon.com for their holiday shopping at some point, but according to a recent Reuters poll, 51 percent of consumers plan to do most of their shopping on the site. (P3) Just how did Amazon find Black Friday success, though? Careful and strategic long-term planning, paired with a seamless experience across all channels. Basically, Amazon was wherever shoppers were, whenever they decided to open their phones, computers and wallets to shop. Let’s take a look at what retailers and brand marketers have learned from Amazon so far this season. 1. Mobile should be at the top of retailers’ marketing wish list. (P4) Last year, Amazon saw more than 60 percent of shopper activity coming from its mobile app and mobile website. This year, the retailer continued to build app engagement by offering mobile-only deals to those with the app installed. Amazon also introduced a new feature this year called Watch A Deal, where app users can save items to their watch list and then be notified when a deal is about to begin on the Amazon app. Seriously, how much easier can the company make it for busy consumers. Retailers that struggle to match Amazon’s reach can tap into mobile moments by partnering with digital promotion platforms that have the ability to reach a larger audience. Whether they have access to an engaged audience through their own app or through another, the most important thing for them to remember is to be where their customers are—and that’s on a smartphone. 2. Target across channels this season. (P5) Amazon made a bold Black Friday play to grab consumers’ attention when they were visiting other retailers’ brick-and-mortar locations. Savvy consumers were able to use a feature on the Amazon app, called Price Check, to make sure they were finding the best deals in stores. Because of the brand’s breadth of products, their site and app are often the first destination for shoppers online and on mobile. “Year after year, more and more customers shop for deals on Amazon from the comfort of their own home, and we continue to make that process even more convenient for them,” Steve Shure, vice president of Amazon Consumer Marketing, said in a statement. (P6) However, we can’t forget that 90 percent of shopping still occurs in stores and that certain categories continue to draw shoppers who prefer to touch, feel, try out or try on merchandise. Consumers love instant gratification, and much of that is propelled by Amazon’s quick-ship options. But retailers don’t need to be Amazon in order to compete in fulfillment. According to eMarketer, more than six in 10 Internet users would pay for same-day delivery. Brick-and-mortar retailers can also take part in offering “buy online, pick up in store” promotions, which allow retailers to leverage their stores as distribution centers. 3. Spread more holiday (deals) cheer. (P7) Kicking off with Amazon Prime Day in July, the online retailer began to reach shoppers with promotions well before the holiday season had even officially begun. A smart move considering that 45 percent of shoppers are always deal hunting, and more than half (54 percent) expect deals before Black Friday, according to a survey conducted by Kelton Global earlier this year. It paid off: Amazon saw more orders on Prime Day than any Black Friday in its history. Upping the ante, Amazon launched deals nearly every five minutes starting the Friday before Thanksgiving all the way through Black Friday. But it didn’t stop there. It continued to engage online shoppers with 150 limited-time-only “Lightning Deals.” The retailer was armed and ready to reach online shoppers whenever they chose to browse, not limiting them to only Black Friday. 4. Loyal brand fans are the best holiday ambassadors. (P8) Sure, Amazon has done a lot on its own to become synonymous with online shopping. However, the loyalty of tens of millions of Prime members also speaks volumes, and you can be sure they’ve told their friends about the experience too. For an annual fee, members get access throughout the year to music and movies (now on JetBlue flights! ), services and free shipping—and the holidays are no different. Amazon Prime members received access to many deals 30 minutes early over Thanksgiving and Black Friday weekend. It’s a huge incentive when you’ve got your eye on a particular item, or 10. (P9) No one needs to be reminded that Amazon is dominating this holiday season. We’ve all seen the media storm, and likely taken a peek at what Amazon has to offer on its site as well. The online behemoth doesn’t play defense; it strikes first. I’ve seen plenty of other retailers pick up their game this year, innovating new ways to reach consumers and build a seamless shopping experience. But is there more that can be done? What are the four lessons that traditional retailors can learn from Amazon this season? What are the different types of Amazon services mentioned in the article? What other innovative services do you know that e-commerce companies operate? Do you know about Black Friday? What about Cyber Monday? What ‘days’ do you have in your country that try to boost sales? Describe your shopping habits. Where do you spend the most? Do you agree that online retails like Amazon will become bigger than traditional stores?